Sea Star Wasting Disease: How does the host arm itself? We now know just a little more about sea star wasting disease, particularly as it pertains to the host response. Today a paper looking at gene expression in infected sea stars (Pycnopodia helianthoides) using RNA-seq is published in PLoS ONE: Up in Arms: Immune and Nervous System Response To Sea Star Wasting Disease. This is an exciting product that came out of a class project during the summer course at Friday Harbor Laboratories: Ecology of Invertebrate Marine Diseases (EIMD). 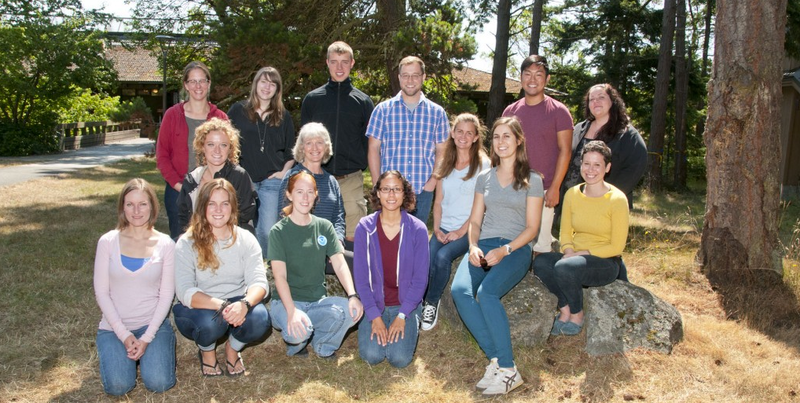 Amazingly, a majority of this work was completed during a week long module at Friday Harbor Laboratories. The entire class used open notebooks, courtesy of Open Notebook Science Network so you can go in and see what everyone was doing (even when they were not in the lab). 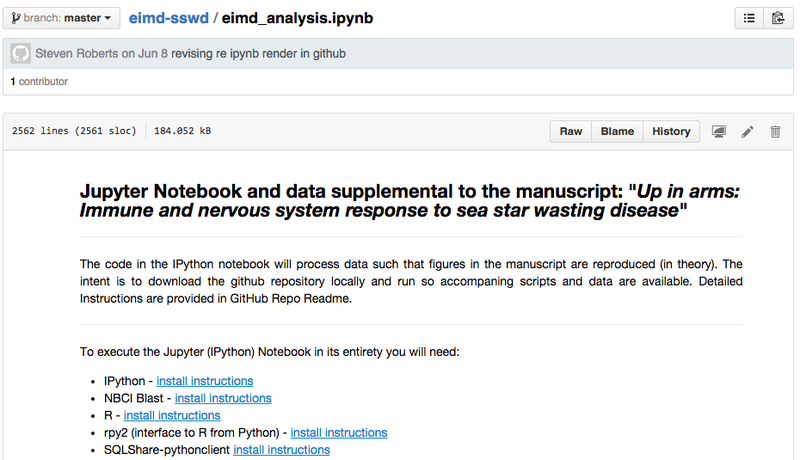 The data and code are also available in a GitHub repository where one can both explore and reproduce the results! The data and code are also published on Figshare for citing and to making results available as widely as possible. Speaking of results, what did we find? We injected a viral sized fraction homogenate prepared from symptomatic P. helianthoides into apparently healthy stars. Nine days following injection, when all stars were displaying signs of the disease, specimens were sacrificed and coelomocytes were extracted for RNA-seq analyses. 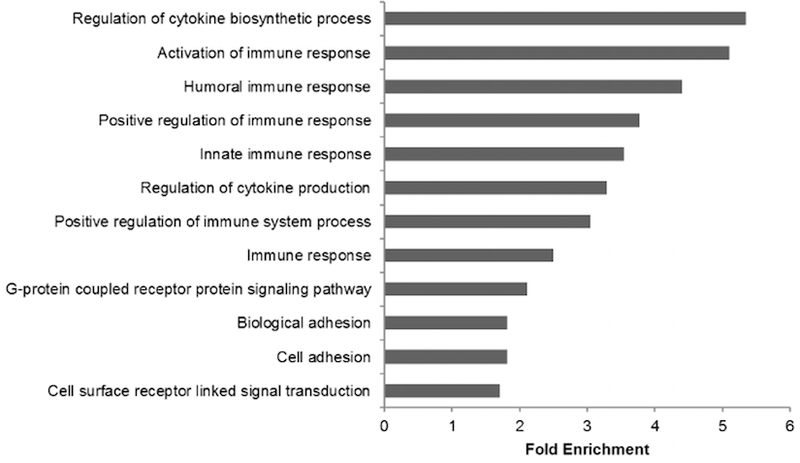 A number of immune genes, including those involved in Toll signaling pathways, complement cascade, melanization response, and arachidonic acid metabolism, were differentially expressed. Furthermore, genes involved in nervous system processes and tissue remodeling were also differentially expressed, pointing to transcriptional changes underlying the signs of sea star wasting disease. We would love to get any comments at PLoSONE and the GitHub Repository. And if you want to see what was going on when data was not being crunched..